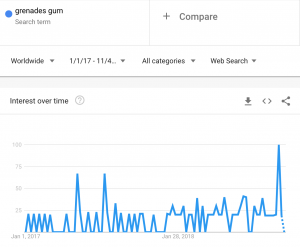 Yimian Data | Grenades Gum Exploding in China? Grenades Gum Exploding in China? 05 Nov Grenades Gum Exploding in China? Grenades Gum is catching on. Online. In China. Yimian’s e-commerce trends monitoring tool, YiDrone, just discovered something from its “scouting flight” over the chewing gum category at tmall.com. 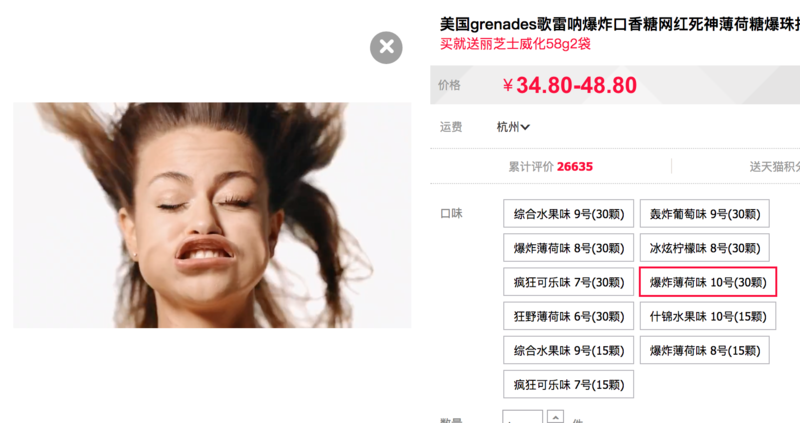 The American niche brand Grenades Gum is becoming more popular on tmall.com in China. 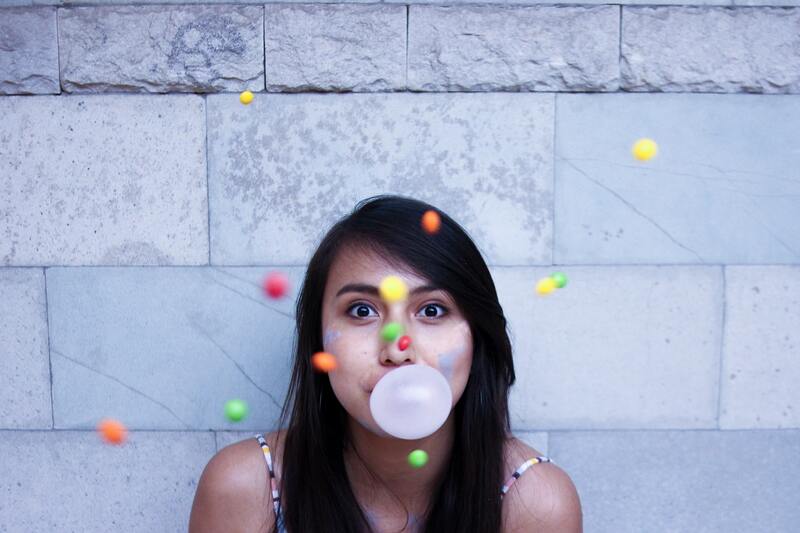 Grenades Gum is a Hawaii-based chewing gum company, founded in 2013. The selling points of its gums are the explosive sensation and the sugar-free-aspartame-free ingredient. 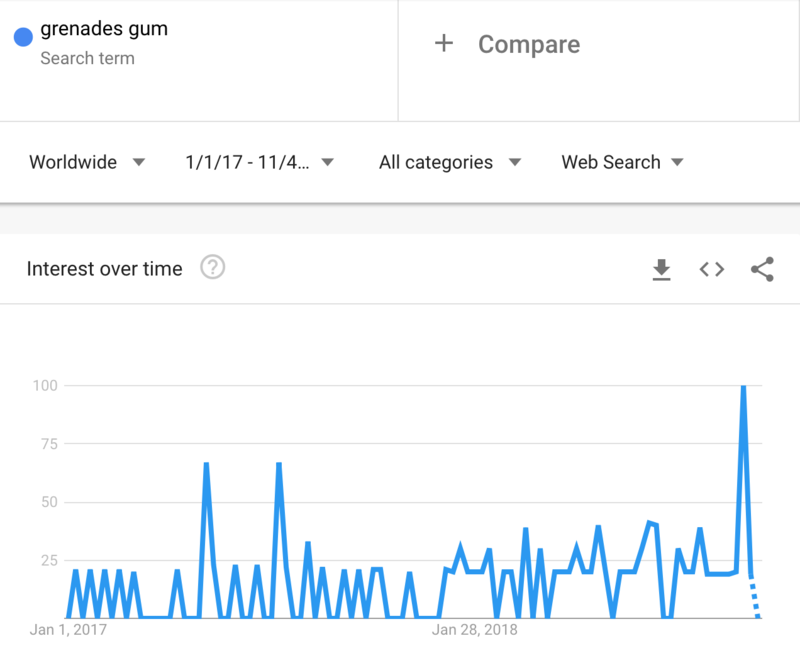 If we look at “Grenades Gum” in Google Trend, it’s been relatively stable with a slight increase recently. Meanwhile, the number of Grenades Gum products online and the product share among all chewing gums are both growing on China’s tmall.com. 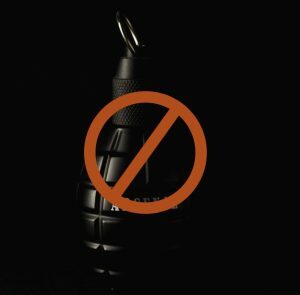 Interestingly, Grenades marketing in China avoided direct translation into “手榴弹(hand bomb)”. Instead, it was transliterated into “歌雷呐(Singing like a Thunder)”. The product description closely associated “Grenades Gum” to “From America” and “Explosive”, although transparent about that fact that it’s “made in Taiwan”. A quick baidu.com search revealed that Grenades brand was active on “Xiaohongshu (The Little Red Book)”, a lifestyle sharing platform. The product title also includes the word “抖音(TikTok)” to signal its popularity on TikTok, the Chinese social media for sharing short video clips and live-broadcasting. What can other global brands learn from this case about entering China? To learn more about how Yimian quantifies market trends and consumer voice using online data mining, please contact Rong Zhang.